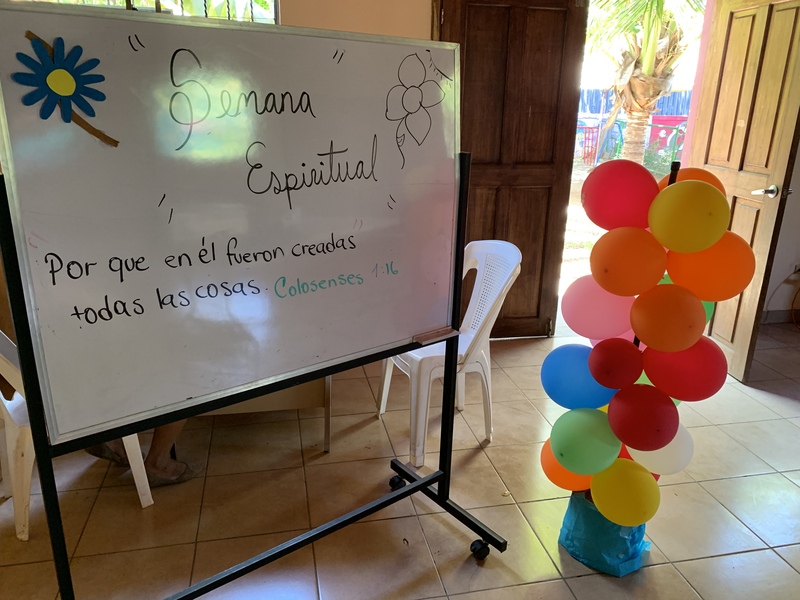 This past week was focused on the spiritual formation of all of the children the Lord has put into our hands at Club Esperanza. The Bible verse for the week was Colossians 1:16 “For in him all things were created: things in heaven and on earth, visible and invisible, whether thrones or powers or rulers or authorities; all things have been created through him and for him”. Even at their young ages we want to encourage all of them in the things of God. We want them to know they are created by God, they are loved by God, and that God has a special purpose for each of their lives. Will you please join us in praying for all of them at least once a week. We want to see all of God’s good things in their lives…so we ASK God for that! Amen. Another encouraging and fun thing that we hope to share more about as the year goes on is a new church plant happening at Club Esperanza. Roberto and Sheyla have had a burden for a while to start a church at the Club. Roberto completed Theological training over the past two years through New Jerusalem Church in Tampa. It is a church Roberto and Sheyla have had a relationship with since the days that we were still inside of La Chureca. They opened their Spanish language theological courses (Instituto Biblico Internacional) to Roberto and he completed his studies last year to earn his degree in advanced Theology “Titulo en Teologia Avanzada”! At the beginning of this month “La Iglesia Hashem Adonai“ was planted at Club Esperanza. Their first meetings were actually pretty full as they converted the dining hall into a church. It was a great time of worship and inaugurating the church. Roberto was very encouraged, and just this last week over a hundred people came. I know Roberto’s heart is to share the Gospel with the people we serve and teach them what it means to be a follower of Jesus. He and Sheyla both have big pastoral hearts and they want to help lead the people who come into a deeper understanding of God. Please also pray for this awesome new thing God is doing!